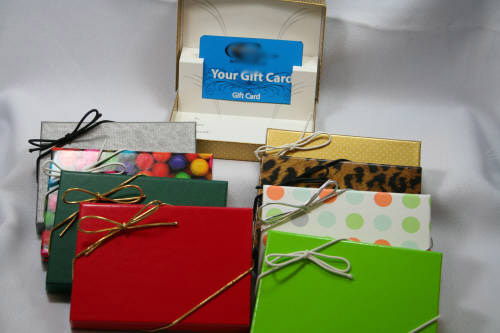 Your gift card is flat in the gift card box. Holds standard sized gift cards. Stretch Loops include with the 8 pack collections.